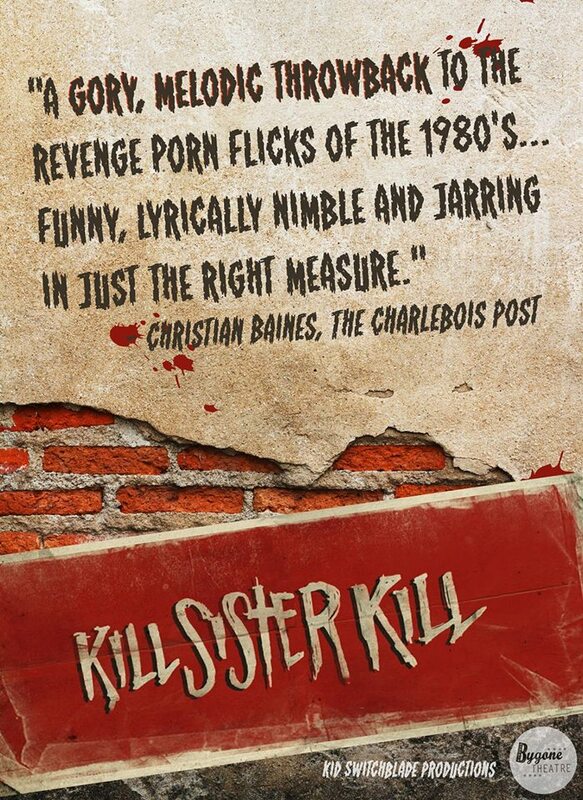 Bygone Theatre is currently accepting audition submissions for our upcoming production of Kill Sister, Kill! 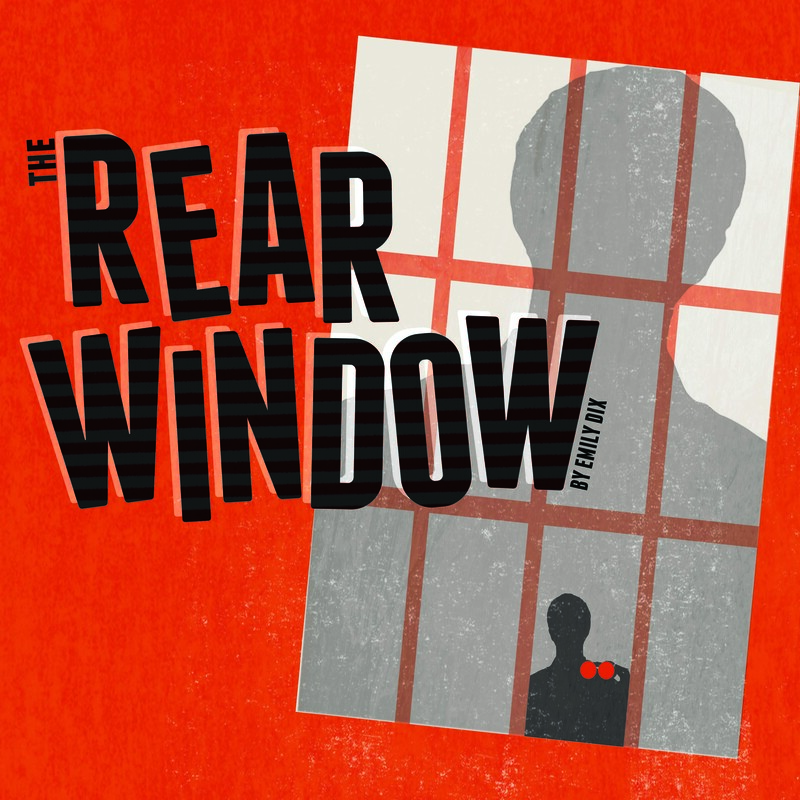 A Musical, set to premiere at the New York City International Fringe Festival August 2015. A Psychotronic Hell-trip of Song, Sleaze and Revenge! A nun, doing God’s work on the filthy streets of 70s New York, reunites with her beloved sister to celebrate her wedding. Their night of revelry is despoiled by two vulgar, depraved sickos. Left for dead and robbed of her sister and her voice, the Woman of God rebuilds herself as a Weapon of Hellbent Vengeance! Ronnie: A young punk, eager to impress his big brother, Ronnie isn’t the brightest, the baddest, or the best with the ladies, but he has a good heart. Dagger: Ronnie’s older brother, Dag is a violent, drug-fueled psycho who uses & abuses everyone he’s with, including his little brother. Lily: A god-fearing nun doing her best to clean up the streets of NYC. Sheltered & a little naive, the only family she has is her sister, Kitty. Kitty: A born wild-child, Kitty has worked in Vegas as a “dancer”. While she loves her older sister, she is the complete opposite of Lily and spends her time drinking, dancing & screwing. NOTE: As the show is still being completed, vocal ranges can vary. We are looking for performers with great character and a strong voice who are willing to workshop the show for a couple months and develop songs that will suit their voices. To request an audition, please send your headshot & resume to Producer Emily Dix at emily@bygonetheatre.com, no later than Wednesday July 3, 2015. Those selected for an audition will be contacted to schedule a date and time in early June. We are excited to announce that we will be teaming up with Kid Switchblade Productions to work on a dark new musical, Kill Sister Kill. ABOUT THE SHOW: A nun, doing God’s work in the filthy streets of New York City in the late 1970s, reunites with her once-troubled sister to celebrate her engagement. The arrival of a vulgar, depraved punk and his kid brother despoils their happy reunion. After watching the murder of her sister and being brutally attacked herself, the Woman of God turns her attention to revenge, rebuilding herself as a hell-bent woman seeking vengeance. The show premiered at the Toronto Fringe Festival in 2013 and is now being re-written and expanded with new music. Being produced by Bygone’s AD Emily Dix. COMPANY INFO: Kid Switchblade Productions: If it isn’t offensive, it isn’t interesting. Kid Switchblade Productions are a brother-duo team of writer/ director, Andrew “Drac” and Jamieson Child (who you know as Rupert Cadell in our recent production of Rope). 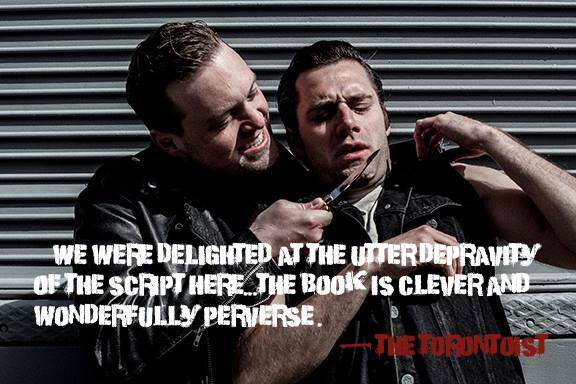 They are drawn to the dark, sleazy, horrific and hilarious, producing all things 1970’s low-budget cinema inspired. Previous original shows include No Commercial Interruptions (2010) and Sister, Sister (2009). POSITION INFO: The composer will be responsible for the entire score of the musical, and may be asked to come on as music director as well. There may be an opportunity to assist with the writing of some lyrics. As this is a low-budget production, funding is relying significantly on fundraising and grants. Payment will depend on the success of these funding ventures and may only exist in a profit-share format. OPPORTUNITY: The successful candidate will have an opportunity to be a key part of the creation of a new Canadian musical. We thank all applicants for their interest; those selected for an interview will be contacted mid-January. Keep an eye on our facebook page for show updates!